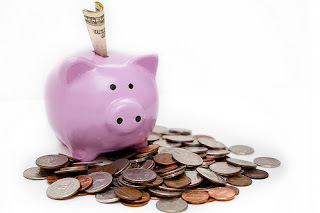 The cost of therapists for kids with special needs: Let's compare! I try not to think too much about how much we shell out for Max's therapy, because obviously that is the most financially responsible thing to do. Right. Really, we don't have much choice. He needs extra speech and occupational therapy sessions at home, besides the ones he gets at school, especially while he is still young. An so that's priority spending in our house. The insurance company pays 70 percent for speech therapy, but has been bouncing back all of the occupational therapy bills because supposedly it's not covered under our plan. (Which means we're in the process of trying to figure out which diagnosis codes will work.) I've never bothered trying to get reimbursed for music therapy because for sure we would get back an Explanation of Benefits that read "You've got to be kidding." 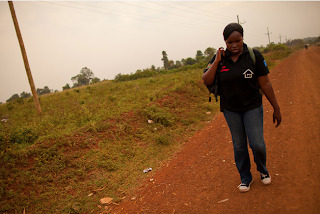 A few weeks ago, we met with an occupational therapist who works for herself and who charges $155 an hour. Sigh. But then again, good OTs and STs who come to your home are at a premium and because I work, we have no choice but to use them. Hey, I've got an idea! We should start charging the kids for all the therapy we do for them! Max, you owe me millions. OK, what do your child's therapists charge? A Boundless Playground in Greenville, South Carolina opened on Monday. If you've never heard of it, Boundless Playgrounds is a nonprofit that works with communities to develop playgrounds accessible to all kids, including ones with disabilities. There are more than 200 of them now, including ones in two Canadian provinces. Is it awful to say that I am a leeetle bit jealous? We do not have an accessible playground in our area. The adapting has been done solely by me and Dave—going down slides with Max, climbing jungle gyms with Max, holding Max up to reach things, helping him settle into a swing. Max doesn't know any better; he's just having a good time. 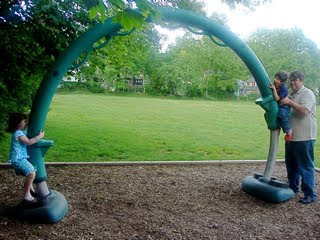 Me, I ache for one of these playgrounds because they encourage independence. Fun and feeling like you can do it: an unbeatable combo. Even if our 'hood lacks one, I'm grateful to the CVS Caremark All Kids Can program for supporting Boundless Playgrounds throughout the country. They've donated more than $4 million to projects since 2006—that's 60 Boundless Playgrounds. Soon they're going to be pitching in with the building of the 250th playground. You can see if there is a Boundless Playground in your 'hood here, find out how to get the wheels in motion here, and register a playground project here. Of course, it would be so lovely if parents didn't have to take the initiative and accessible playgrounds were a de facto part of our lives. 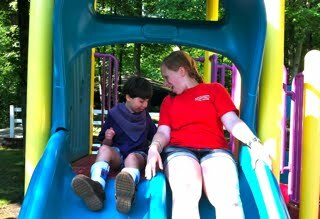 There are approximately 7 million kids with disabilities in this country, and I think it's safe to say the vast majority of them enjoy outdoor play—and want to have just as much fun as their peers. 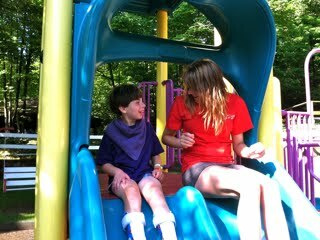 Do you have an accessible playground in your area? How do you help your child enjoy playgrounds? This is one of a series of posts sponsored by CVS Caremark All Kids Can, a more than $25 million commitment to making life better for children with disabilities. Please "Like" them on Facebook—they deserve it. It's been a sobering search. 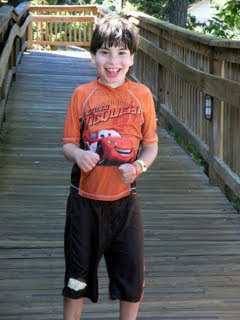 First I asked on my mom e-loop to find out which camps in our area host kids with special needs. The first one I called said that I would have to hire a person to "shadow" Max. A possibility, but I wasn't that gung-ho about finding someone given that I like to lie around all day doing nothing except asking the kids to feed grapes to me. The next camp I called wouldn't let Max come for less than three weeks, even though I explained that Max is in a year-round school program and only has off for two weeks at a time. 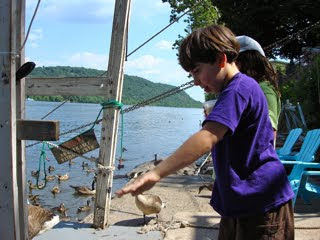 Another camp was more geared toward children with cognitive disabilities. Another said that they do hire shadows for kids, but the fact that Max wasn't potty trained was a deal breaker. I told them how disappointed I was. I am honestly not sure whether Max's resistance to potty training is because of his disability or because he is mentally unwilling. Probably both. Kids with cerebral palsy, who have issues with muscle control, may not always feel that gotta-go urge. We think Max does, although the other night, he was wandering around in his birthday suit before bathtime and he let out some poop on the floor. I sighed loudly, and Max said something to me. I thought it was "I'm sorry" and perked up. Good! He realized it was gross. "Nooooo," he said, shaking his head. Then he said it again. That's when I realized he was saying, "It's funny!" "No, Max, it's not funny!" I said. He laughed and again told me it was funny. Boys and poop, what can I say. Today I printed out a bunch of color photos of an electric Lightning McQueen car and I am posting those suckers all over the house. If he potty trains, he gets the car. Anyway, back to camp. 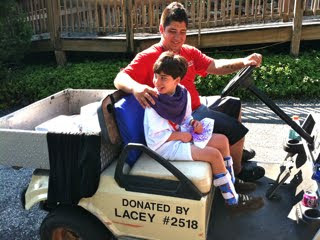 Last Friday, I visited the a camp that has a dedicated program to including kids with special needs. Why it's the only one in our state, I don't know. They find the shadow, although he or she is officially considered a "counselor" and the other kids don't know that he or she is there to specifically watch your child. I am telling you, I almost had tears in my eyes as I did the tour. The program director pointed out the shadows as we walked around, who blended right in with the rest of the counselors. No kids seemed to be outsiders or "special." There were just hordes of kids mingling and having a great time. I think we're going to try Max there next summer for a couple of weeks, and I am psyched. Meanwhile, today a reader (thanks, Sara!) 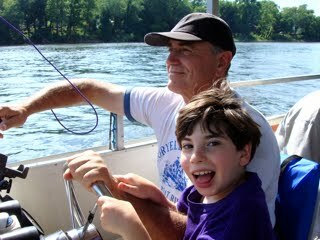 emailed me about Camp Bennett, a camp in California for childhood stroke survivors. It's a three-week intensive therapy program for kids with intensive brain damage. 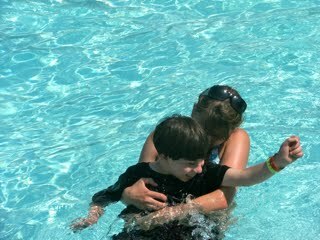 Bennett is the son of the camp's founder, Audrey Vernick; when he started having seizures at five months old, doctors discovered he'd had a stroke in utero. Camp Bennett sounds incredible, even though it might not be Max's idea of a good time. There's a big focus on constraint-induced movement therapy, in which a child's stronger arm is restrained in a cast, forcing the brain to recognize the weaker arm and get it moving. Max's challenges lie more in his hands than his arms. Even though his left hand is the better-working one, nobody would consider it "good." There's also a similar program in our neck of the woods, Helping Hands. I'm not ruling it out. Maybe Max will just spend next summer camp hopping. Maybe I will open Camp Spaghetti With Sauce. We shall see. Have your kids been doing camp this summer? Found any good inclusionary activities in your area lately? Sabrina and I finally had a talk about this blog, in the organic way I'd hoped it would come up. She saw it open on my computer, read "Love That Max" out loud and asked "Is it called that because he has special needs?" She is so amazingly intuitive. I explained to her that the blog is for other moms and dads who have kids with special needs. Then I showed her posts with photos of her, and she was really excited. Then she wanted to write a post. She chose the colors. Honey, what have you been doing at camp that you've really enjoyed? "I wanted to do hockey and I really loved hockey. And I love swimming. And the sno cones! We got to eat sno cones! And they had water rides on Friday! 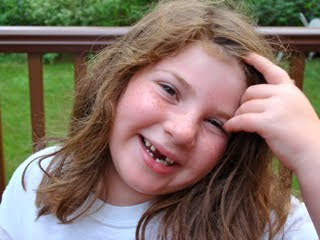 And I, um, loved that I lost my tooth there. I pulled it out!" 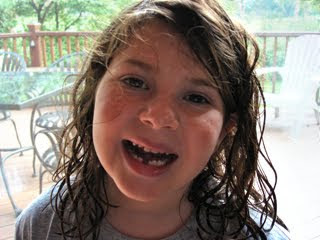 And what do you think of the tooth fairy? "Well, I got a lot of money for my first tooth and I was very happy. Oh, I want to get the tooth fairy money in coins next time!" That will be a lot of money under your pillow. Where does the tooth fairy live, do you think? Good thought! OK, what kind of stuff do you want to do this weekend? "I want to go to gymnastics. And I would like to on Sunday have movie night and popcorn! 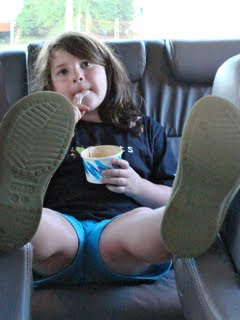 And ice-cream!" That can be arranged! And what does Max like to do for fun? 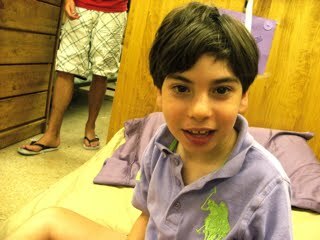 "He likes to go to camp and play with friends. 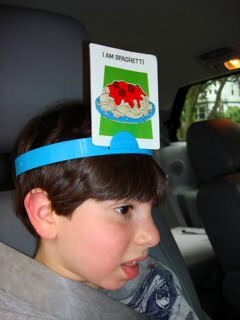 He likes to eat spaghetti sauce." Is he your favorite brother? "Yes, silly Mommy, because he is my only brother." Wasn't Max being so funny last night? Remember what he was doing? "He was walking around sticking his belly out and pretending he was pregnant! He was just pretending because boys can't have babies. Only girls can have babies. And frogs." Let's have that discussion another time! So, are you a good little sister? "Of course! That's all the questions. We're done!" Months ago, I said I'd give away an iPad here, paid for with a fee I'd received for attending a salon on social media for social good. This seems like a fine time to give away an iPad 2 to a kid with special needs, along with a Proloquo2Go speech app. The folks at Care.com—a place for finding caregivers for kids, parents, pets—have generously donated another iPad and Proloquo2Go app (I've done work for them). So we will have two iPad winners. 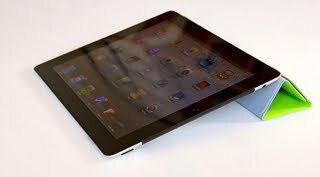 • One iPad 2 16GB with Wi-Fi in your choice of black or white (valued at $499). • One Proloquo2Go speech app (valued at $189.99). 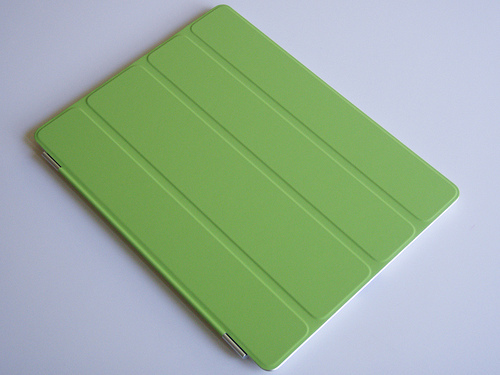 • One iPad Smart Cover in a color of your child's choice, based on available colors ($39). To enter to win an iPad, leave a comment below about how you believe an iPad and Proloquo2Go speech app could benefit your child. No need to get into detail, just share what you want. 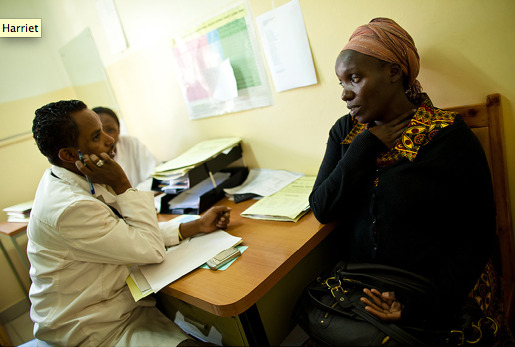 Each winner will be asked to provide a letter of need from a speech therapist or doctor in their child's life. The letter from the therapist or doctor must include her qualifications and contact information so that he or she can be called to verify that, indeed, the recipient is a child in need of an iPad and speech app. This giveaway is open until Tuesday, Aug 9, 2011 at 11:59 ET. It is open to U.S. and Canadian residents 18 and older. • Valid email address required. I need that so I can reach you if you win, as my ESP is not up to speed. So if your email is not visible on your blog, you will need to leave it wth your comment. If there is no email, your entry is disqualified. 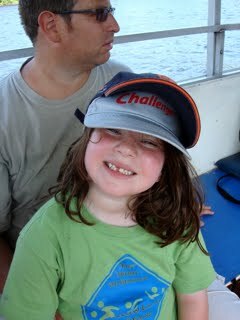 • Other blogs and sites are doing iPad giveaways for children with special needs, including a4cwsn and Mission iPossible. If you happen to win an iPad both here and elsewhere, I respectfully request that you voluntarily bow out of one so another child in need can get an iPad. Think: karma. 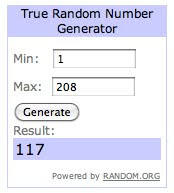 • I will choose two winners via the website random.org within 24 hours after the giveaway is closed, and this post will be updated to include screenshots from random.org of the winning comment numbers. I will email the winners at that time. • If I do not hear back from a winner within seven days, another winner will be chosen. • Each winner's iPad and Smart Cover will be ordered within one business day after I confirm information with the child's therapist or doctor. The iPad and Smart Cover will be shipped directly to the winner. The arrival dates will be based on Apple's estimated arrival time. • I will email the iTunes code for the Proloquo2Go app directly to the winners. Word, the IRS requires that you report winnings from sweepstakes. After narrowing down the qualified entries and counting them, I selected the winning comment numbers via random.org. The winners of an iPad, Proloquo2Go and Smart Cover are Sandra (#117) and Kristine (#41). The winners have been notified by email, and have two weeks to send in a letter of need from a doctor or therapist. This couldn't have been a merit-based give away because all of our children deserve iPads and speech apps. The comments here are so moving; I've read and reread them. I wish I were Oprah and I could say, "Everyone, look beneath your seats!" For now, I hope you will enter the iPad giveaways on other sites, and encourage your school districts (if your child is school-age) to consider getting your child an iPad and speech app. I also hope that others who read this blog now understand just how much of a need there is for iPads for kids with special needs—and can find ways to help. 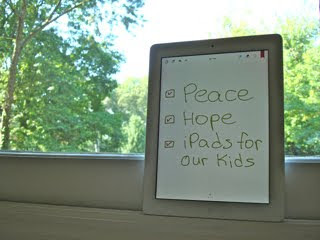 I will be thinking on more ways to get iPads into the hands of kids who could use them. Thanks again to Care.com for their generous donation. Step 1: Decide that you are going to help your child overcome his fear of ____. Sure, your child may have never gone to, say, a movie theater because the booming sound and dark scare the heck out of him, but hmmm... How about a DRIVE-IN movie theater? Perhaps that could do the trick. Experience has shown that once you find a way to push past the fear, your child usually realizes how enjoyable things are. Step 2: Pick a movie your child will love, such as Cars 2. Find a drive-in movie theater and make a pilgrimage there. Cruise in to scope out the scene as your child wails-screeches in the back seat and vehemently shakes his head "NO." Step 3: Leave the scene of the crime and go have dinner. Make it a complete drive-in evening and take the family to a drive-in eatery so you never, ever have to leave the comfort of your minivan! Realize that you have become extremely suburban. Not that there's anything wrong with that. 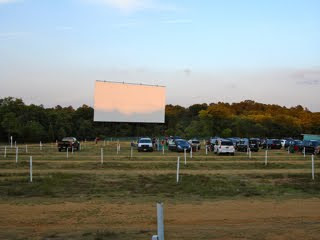 Step 4: Return to the drive-in movie theater as your child screams in the back seat. Worry that he may someday require therapy for this, a new form of child abuse. Step 5: Stick fingers in ears. Step 6: Grab a spot close to the screen. Put car DVD player on. As movie starts, be the only car in the lot, and perhaps in the history of drive-ins, to simultaneously have a movie playing on the DVD at the same time. Wonder what the people behind you are thinking. Decide that you do not give a crap. Step 7: Watch with deep, deep satisfaction as child suddenly realizes that it's Cars 2 playing up on there on the screen, calms down and watches contentedly. 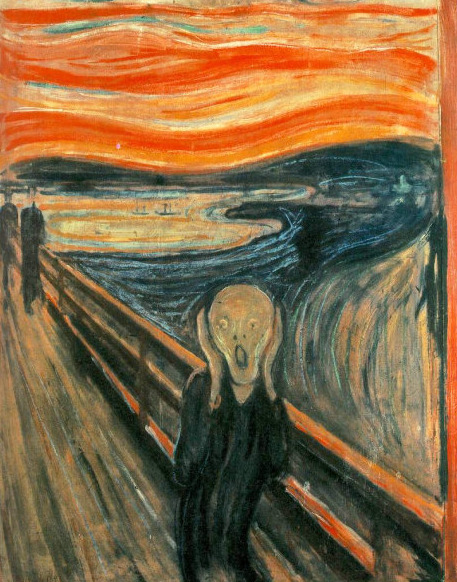 Step 8: Fall asleep from emotional exhaustion; wake up as movie credits roll and child says "MORE!" Max spotted his baseball coach when he was at camp the other week, because she had a kid there too. She called to tell me that he ran right up to her with the biggest smile on his face, and pretended to swing a bat. Max is excited about all things softball. 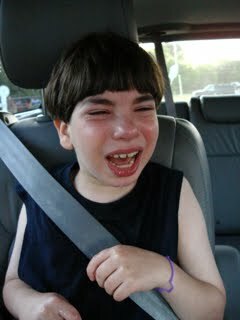 He has mixed feelings, however, about the special-needs soccer programs we've taken him to. Once, he ran screaming out of a karate studio, so there's no black belt in his immediate future, although he can give a pretty strong karate chop to your arm if your name is Sabrina and you're his sister and you have ticked him off. Now that he is a camp champ, taking him to the All Kids Can Baseball Camp next summer seems like a possibility. Sponsored by CVS Caremark, it's a one-day experience held at Fenway Park in Boston. 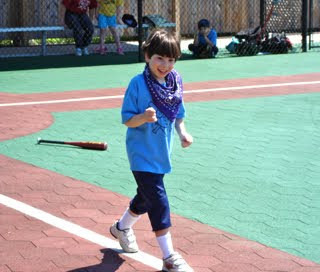 Kids on Little League Challenger teams, Miracle League teams, and other inclusive teams get to hang with the Red Sox batting coach, sit in the dugout, get a VIP tour of Fenway park, watch a Red Sox batting practice, then see a game. OK, so what if we're Yankees fans—that camp would be all kinds of awesome. 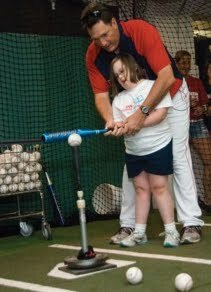 Boston Red Sox hitting coach Dave Magadan helps a 9-year-old with her swing at batting camp. Through work I'm going to be doing with All Kids Can, a fund that sponsors programs and efforts for kids with special needs, I got to speak with a coach whose team has been to the baseball camp. Brenda Hyland of Swansea, Massachusetts, started a Little League Challenger Division team five years ago because she wanted her grandson, who has autism, to play ball. She shared some tips for getting kids involved in any sport, and I'm sharing photos readers sent of their kids doing sports. 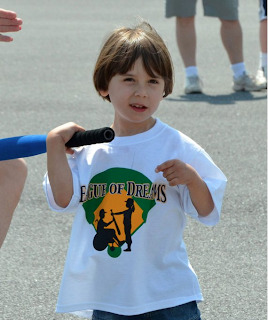 To find sports for kids with special needs, ask. 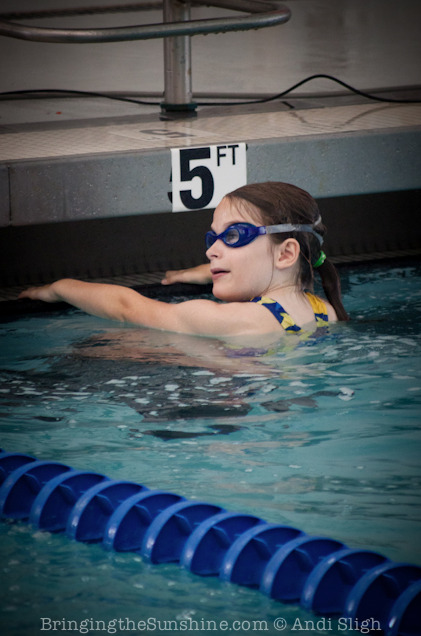 "My grandson's developmental pediatrician recommends kids to our team all the time. Ask the doctors, teachers and other experts in your life. They hear about these programs. And contact local support groups. 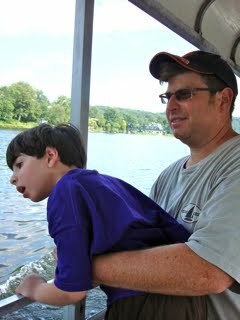 In our area, for instance, we have Community Autism Resources, who know all about our team." Pacey, age 3 in this photo, is on a soccer team. No worries, your child can do it. "One little boy in a walker this year decided he's not using the walker. He's wobbly and it takes him awhile to get to first, but he does it! Either way, the kids are having fun. That's what matters. Any child can play and have fun." 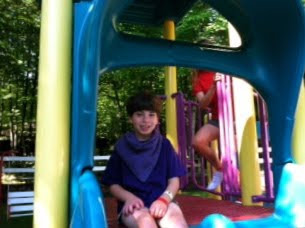 Danielle, 17, has developmental delays. 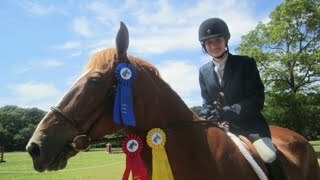 This is her at The Long Island Show Series for Riders With Disabilities. Ease them in. "If you have a child who's scared of new experiences, bring him or her to the field or wherever the sport is played ahead of time and let them see it. 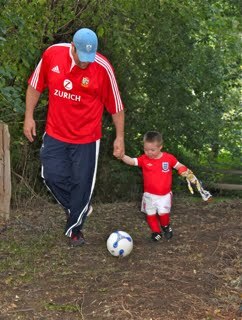 If a child loses it during a game, give him a break and let him sit with you or take a walk. It's not a good idea to leave—he'll think that if they don't want to be there next time, he just has to have a meltdown! You might also want to bring something he's comfortable with. One kid brought one of those big, fat bats to games and used that. After a few games, he used the regular bat." 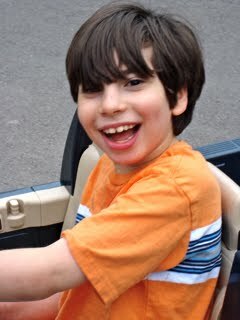 Kenyon, 9, has cerebral palsy and epilepsy. 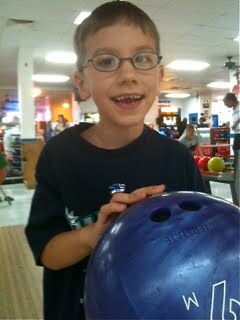 He plays on a Miracle League and also does assisted rock climbing, "but his favorite is bowling," says Jen. Keep at it. "Our grandson would sit around, watch TV and be on the computer all day long if we let him. He likes to say 'No baseball!' and we'll say 'Yes baseball!' Once he's there, he's thrilled." 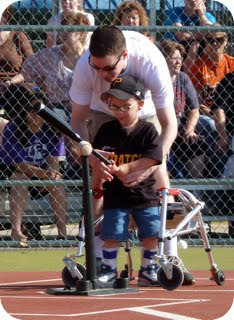 Caleb, 5, "was born with spina bifida and hydrocephalus. He plays on a Miracle League team and loves it," says Cassie. Talk about the friends your child will make. "When we went to the CVS baseball batting camp, two 12-year-old boys developed a friendship. They are both autistic, and don't have other friends. Boys don't want to hang with them because they do things younger kids do, like play with Ninja Turtle or Hot Wheels Cars. But these boys had baseball in common. It bonded them." 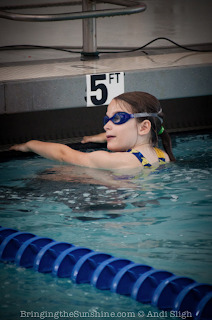 Sarah Kate, 8, has cerebral palsy. 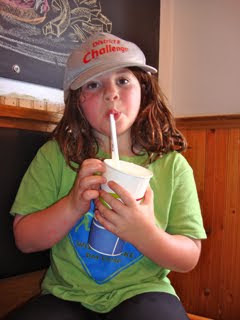 This year, says mom Andi, "she's done swim team, soccer and a fun run...so far!" Start a fan club on the fridge. "For one of our kids, there was always a picture of his brother on the fridge in a baseball uniform. After we took the team photo, his mom put the photo of him in uniform on the fridge, too. He was so excited!" 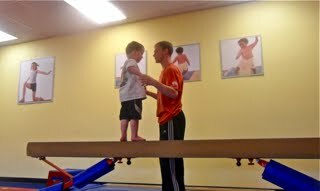 Alvin, 4, has aspergers and does gymnastics for social and motor skills. Ask parents about other activities. "From being on the team, we hear about other activities, like a basketball league and a bowling league for kids with special needs, and school programs, too. Parents have great resources." 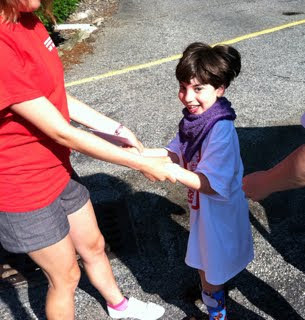 Simon, 5, has cerebral palsy and epilepsy. He plays T-ball with League of Dreams. Change your expectations. "We see parents pull their kids out of games because they're running around in the outfield instead of hitting the ball, and they think they are never going to play. I say give it a season! People are used to playing in a certain way. They expect an all-star—they just got a different kind. They're all all-stars to us." 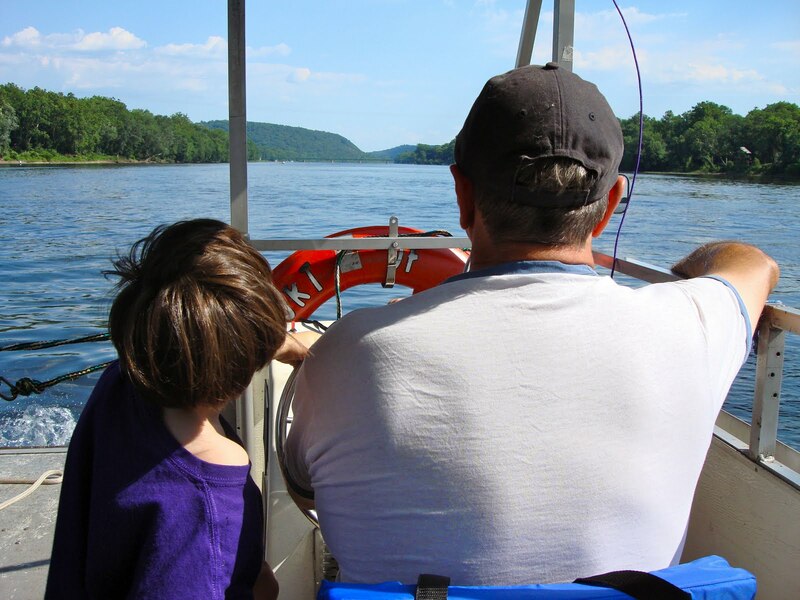 This post is the first in a series of posts sponsored by CVS Caremark All Kids Can, a multimillion-dollar commitment to making life better for children with disabilities. "Like" them on Facebook! 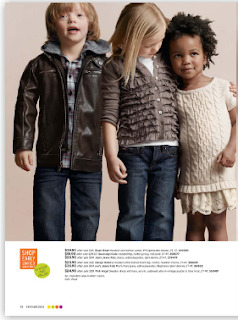 Don't donate another cent online until you read this. Please. I don't know about you but after all the murkiness and muck of what's been going on, I had questions about donating money online. 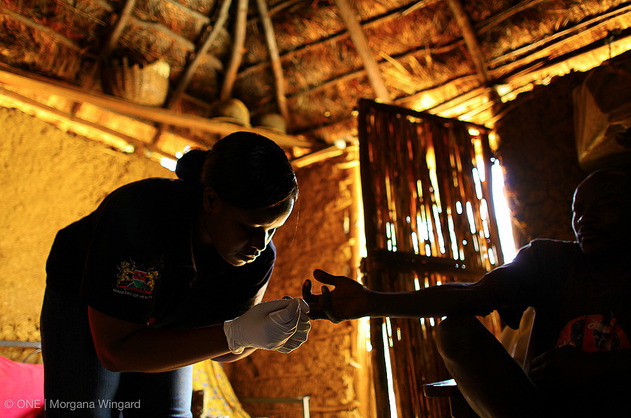 Sandra Miniutti, the vice president of marketing and CFO for Charity Navigator, kindly answered some questions for me. The site is my go-to source for looking up charities, because it ranks them based on financial stability, and tells you how much of your $ goes to administrative costs—and how much actually goes to the people who need it. While Charity Navigator doesn’t touch on blogs, Miniutti—who’s been at CN since its launch in 2002—had good insights to offer. Take note, do-gooders: Your heart may be in the right place, you just want to make sure your money ends up in the right place, too. But you knew that. What should people consider before making any donation online? "I think you need to tread carefully, especially with issues that tug at the heartstings. 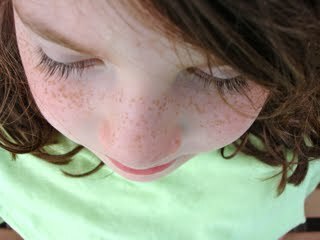 Kids with special needs, sick children—those are the areas where we find the most unscrupulous behavior. And if you have a child like that, it’s a personal issue for you, and easy to get caught up. Be cautious, whether you’re sent emails with links to a cause, you see something on a blog, or you’re sent links on Facebook and Twitter. 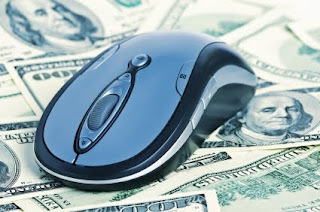 With the way technology is, it’s easy to set up a bogus website and solicit funds. There may not be a legit person or charity behind it." How have things changed with online giving since you started at Charity Navigator? "For one, the way scams operate has changed. For example, after Katrina, the FBI found 4000 bogus websites. When people entered their personal information, both their money and identity got stolen. Many were set up by people overseas. They created websites that look like real charity sites, with names like KatrinaHurricane that sounded legit." For those of us who know so many families’ personal stories from the blogosphere, and who really want to help kids in need, what do you recommend? 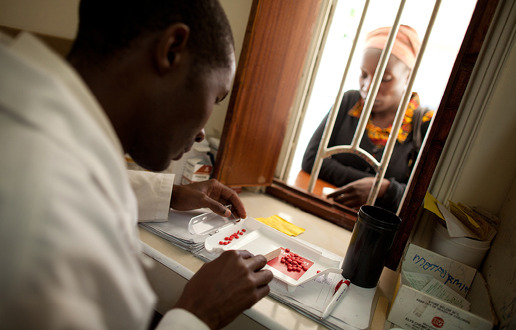 "I first recommend investing in a charity that’s helping families or with research, unless you know the person firsthand. Less altruistically, you’re not eligible for a tax deduction if you give money to something that is not a public charity." This is tricky territory. I “know” families online, even though I’ve never met them in person…at least I think I know them. What to do? "It’s risky. Unless you know the person, I wouldn’t be giving through a blog. 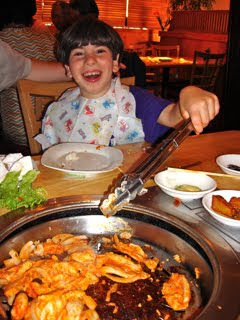 My son had a friend this year who got sick, his family put up a personal blog. I knew them in the real world and so I felt comfortable supporting them. I wouldn’t feel the same about someone I haven’t met. You have to weigh the risks. Will you feel burned if your money doesn’t go where it’s supposed to? It’s a personal choice." There are bloggers in the special needs community who are well respected and who have helped raise money for people in need. What do you think about that? "If someone is known in the community, is a thought leader, has a good following and has been around, that’s safer. I think the majority of people are trying to help each other. But you still have to be careful!" Widgets like ChipIn! and tip jars have made it easy to donate money online. "There’s a proliferation of them, and you need to make sure your personal information is secure if you donate through a widget. Look up how the widget works." What are your thoughts on bloggers who do giveaways and simultaneously ask for donations? "It’s not an area Charity Navigator focuses on—we’re looking at legitimate charities and what they’re filing. But if it doesn’t pass your smell test, beware. Also, regarding anonymous bosses who are supposed to be matching funds—I've never seen a corporation who didn’t want to shout from the rooftops about being charitable. Most companies want the public goodwill, and make sure everyone knows. It’s unusual for a corporation to remain anonymous when giving." How can you make sure a nonprofit is valid? "You can see if they have an Employee Identification Number—a charity tax ID number. A lot of charities do display their EIN number. If one doesn’t, email and ask. You can also check Publication 78 on the IRS website to see if they have nonprofit status, although depending on when they filed, they might not yet be listed. That said, it’s very easy to get nonprofit status—there are a million charities in the US, and not a lot of barriers to entry. The IRS is not vetting them, they’re not checking on the ethics of a foundation or charity, or financial stability or results or any of that. There are not much checks and balances. It’s like the Wild West out there." For more tips, check out "Evaluating charities not yet rated by CN." And this is how the cross-dressing started. Not that there's anything wrong with that. Something interesting happened last night. For months now, Sabrina has been wearing only boy clothes. Mostly Max's, but also items she insisted I buy her from the boy's department at Target. She refuses to wear tanks, pretty shirts, or dresses, and when you ask her to put on a nice top because we're going to a restaurant, she will come downstairs in a SpongeBob SquarePants t-shirt that she may or may not have pulled from the clothes hamper. Once, in desperation, I offered her five bucks to wear a dress to an event. She turned me down. She does not do cute shoes. She does not like putting her hair into ponytails or braids or anything remotely girly. 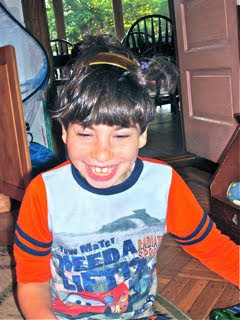 And so tonight, when I came home from work, I was surprised to see she'd done pigtails. Too bad they were on Max. 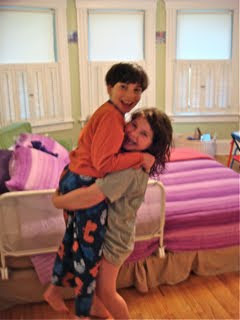 Come on over to parents.com today and check out the new blog I'm doing there a couple times a week, To The Max. Yep, that's the old name of this blog—recycling's a good thing, right? Today's post: The quirks you adore about your child—and the ones that drive ya nuts. Can you guess what I said? Bet you can. 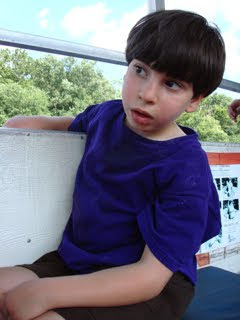 So there I was, not knowing if Max would do OK at sleepaway camp last week, even though it's one completely geared toward kids with special needs. He's never been away from us; would he get homesick? He always gets up in the middle of the night and comes to our bed; would he freak out if he woke up? Would he get intimidated by all the kids at the activities, given his anti-crowd tendencies? Would they feed him OK? 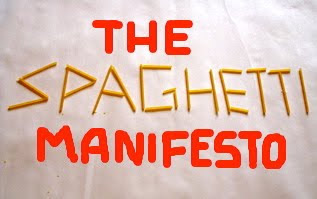 Give him plenty of spaghetti? Go along with his purple requests? We dropped him off Sunday. 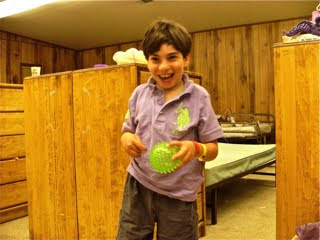 Monday, the camp director called to tell us that Max had been dancing the night away at a party. Oh, and then? They sent photos. Max is a perpetual happy camper but I don't think I've ever seen him looking so ecstatic. 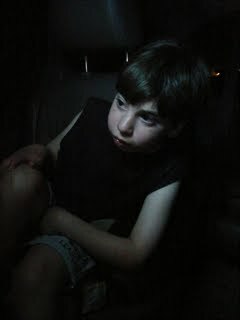 The only time he got upset was when there were some fireworks on July 4th, although he calmed down once he went inside. The camp hosts about 60 kids per week, close to 500 every summer. Some campers get their own counselor, some share one, depending on their needs. Kirsten rocked. She's from Scotland and super-nice. She said Max especially loved swimming. I know he enjoyed arts and crafts, because he came home with a bunch of (what else?) purple pictures. 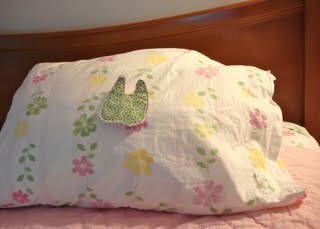 From what I heard, Max slept through the night (of course, he reverted right back to his bed-crashing ways at home). This is how he looked when we picked him up. His favorite mode of transportation, some of you may recall. Max decided to give us a tour of the camp before we went home. There was a sing-a-long with counselors and campers, and he busted some moves. One last time on the slide. And another. And another. 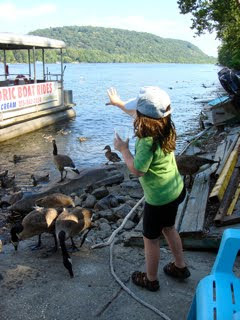 Yes, I had qualms about sending Max to camp. I appreciated all the encouragement I got here. I was ready to drive to camp and take him home if he couldn't handle it, only it turned out I was the only one who got unnerved. 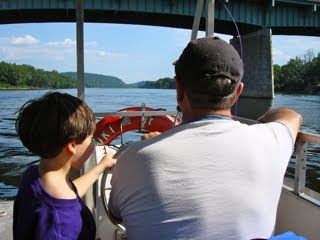 This week was great for Max, both because he had fun and because he flexed his independence. Meanwhile, Dave and I had extra time for Sabrina and some for ourselves, too. I would do it again next summer and I know for sure Max would, too. I'm also looking into possibilities for integrated day camps. Meanwhile, anyone got a golf cart we could maybe borrow?